Given the very high cost of liability insurance for certain types of law practices, is a single member llc a reasonably good means of protecting personal assets? If you are worried about malpractice as a solo attorney, it’s unlikely an LLC alone will protect you, as you would be personally liable for your OWN professional negligence. That said, if there are multiple attorneys in your practice, then you absolutely want to form an entity other than a general partnership. In a general partnership, you would be personally liable for your partner’s malpractice, in addition to your own. That’s a terrible situation to put yourself in. Therefore, also every law firm these days is either limited partnership, limited liability partnership, professional corporation (basically a corporation), or LLC. 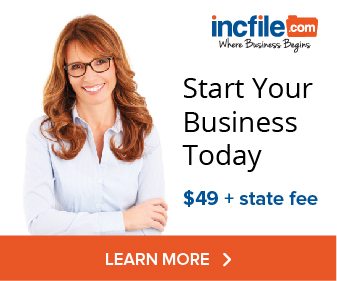 Nonetheless, an LLC will protect you from other, non-malpractice liability such as contractual disputes arising from your business and possible tort liability for things like a slip-and-fall at your office. Purchasing malpractice aka professional liability insurance is probably a very good idea. I do know of some professionals that practice “naked” (without malpractice insurance) where they are married, in joint tenancy by the entireties states, with all their assets in joint name with their spouse. There are many potential cons to this arrangement, but people still do it to save on insurance premiums. Hello, I work as an independent contractor as a nurse practitioner for a doctor. I get no taxes removed from my pay. I have personal liability insurance. I have thought of incorporating to make sure if ever I was sued (hopefully never), that my personal assets would be safe. I have also been told that if I make myself an employee of my incorporation that would further protect myself. Incorporating probably will NOT protect you from medical malpractice liability for your own negligence. This is why you must always keep your malpractice premiums current. The only advantage incorporating (vs. a partnership) has for professionals is that you will not be personally liable for your partner’s malpractice (though the company might be). If you don’t have partners, then this isn’t an issue for you. As a single member LLC, you would still be personally liable for your own medical negligence in the O.R. or where ever else you are performing medical treatment. 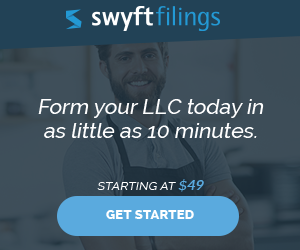 Where the LLC could protect you is if your practice has contractual disputes–say with your employer, supplier, or landlord–and therefore limit their recovery to your LLC assets. So, for example, suppose you lease office space for your practice. By having the lease under your LLC and not you personally, you could avoid personal liability if you are sued under the lease. Note that you’ll have to negotiate hard to get a landlord to lease property to your LLC without a personal guarantee. If you are involved in a lot of transactions (like leasing real estate, or buying large amounts of supplies/equipment), it might be worth it to form an LLC. However, forming an LLC will not protect you from medical malpractice claims. Have a good insurance policy. Also, you would probably have to form a Professional LLC, if you are performing medical services in Missouri.